Corvus-BC, also known as Landmapper-BC, is a ten-satellite Earth Remote Sensing Constellation operated by Astro Digital (formerly Aquila Space) as part of the company’s space segment that is planned to comprise a high-resolution component (Landmapper HD) and a medium-resolution, large area segment (Landmapper BC) to generate data for commercial and scientific application. Aquila Space, a Silicon Valley start-up, was founded in 2015 (out of Canopus Systems) and acquired Astro Digital in 2016 to use its Platform API for imaging data distribution. Continuing under the Astro Digital Brand, the company sets out to create a system for monitoring the global economy of food production. 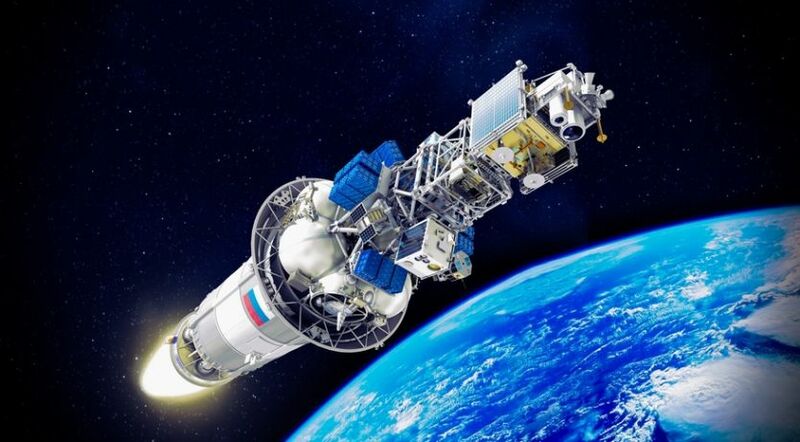 The Landmapper constellation is expected to consist of 30 satellites, 10 in the BC and 20 in the HD configuration to be able to collect imagery at a daily revisit in medium resolution and one to four-day revisit for 2.5-meter resolution data. Astro Digital elected to use the same spectral filters as the Landsat program to ensure data compatibility and science-standard data quality. 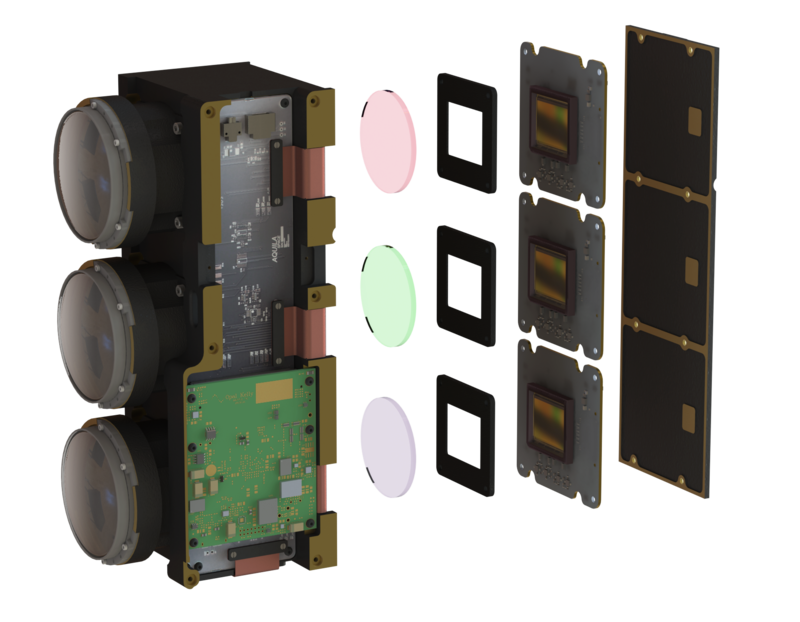 The Corvus-BC satellites comply with the 6U CubeSat form factor, measuring 10 x 20 x 30 centimeters in size with a mass of 11 Kilograms. The satellites use body-mounted solar panels as well as two deployable panels that double as a sunshade for the Earth-imaging instruments, feeding power to batteries with a capacity of 48 Watt-hours. 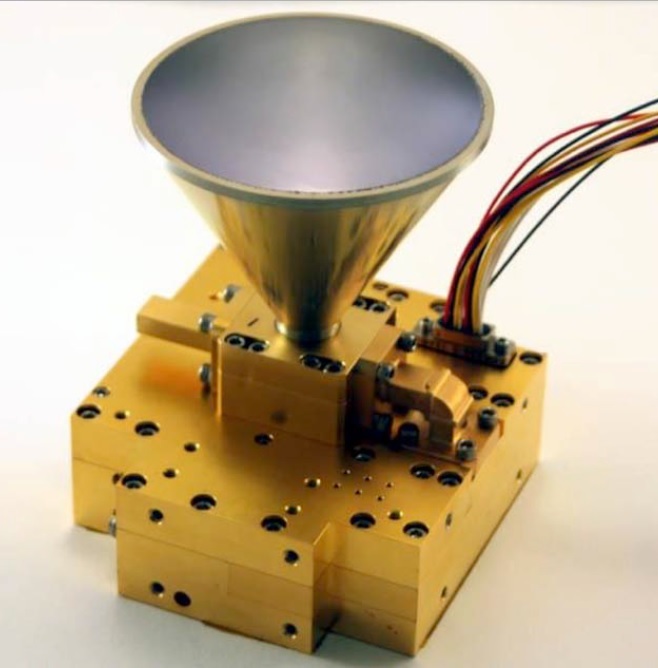 Attitude determination is provided by a star tracker, gyroscope, magnetometers and sun sensors and precise pointing is accomplished by 30mNs Sinclair reaction wheels and magnetic torque rods. The satellites use an ARM A8 Linux-based onboard computer and command uplink/housekeeping downlink is handled in the UHF band with a data rate of 19.2kbps. The Astro Digital Satellites employ a second-generation Ka-Band terminal suitable for cube sat missions. It comprises a horn antenna and polarizer, integrated QPSK modulator, DVB-S2 converter and transmitter units, reaching a switchable downlink data rate of 10 and 40Mbps, enabling a large volume of data to be downlinked during 11-minute ground station passes on every orbit. The Ka-Band unit accepts Ethernet UDP/IP packets from the satellite and delivers UDP/IP over DVB-S2 packets for downlink. 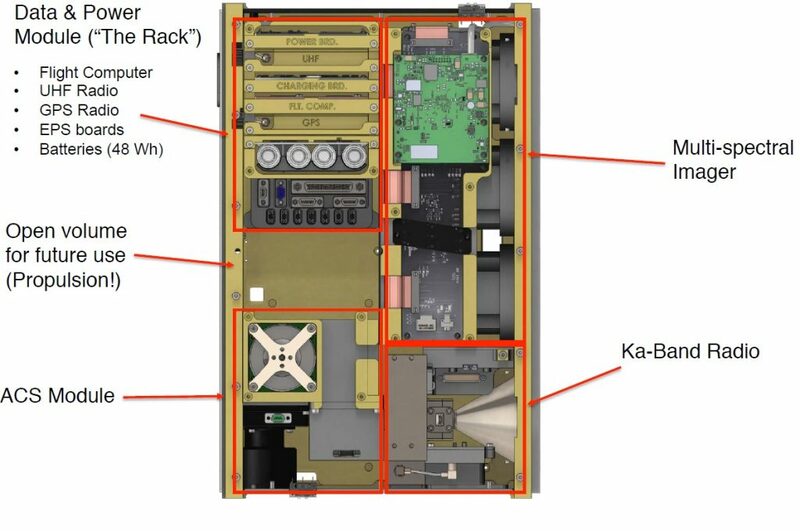 The entire Ka-band terminal fits within ~1 CubeSat unit, requires 13 Watts of power during active transmission and delivers a 10.2-degree wide communications beam, requiring fairly precise pointing for communications; a future iteration of the system will be able to support data rates of 200Mbps. The design of the Corvus-BC satellites makes use of self-contained units that can be assembled separately before being integrated into the satellite structure via simple interfaces to avoid complex system level work and allow for access to individual components until late in the assembly process. 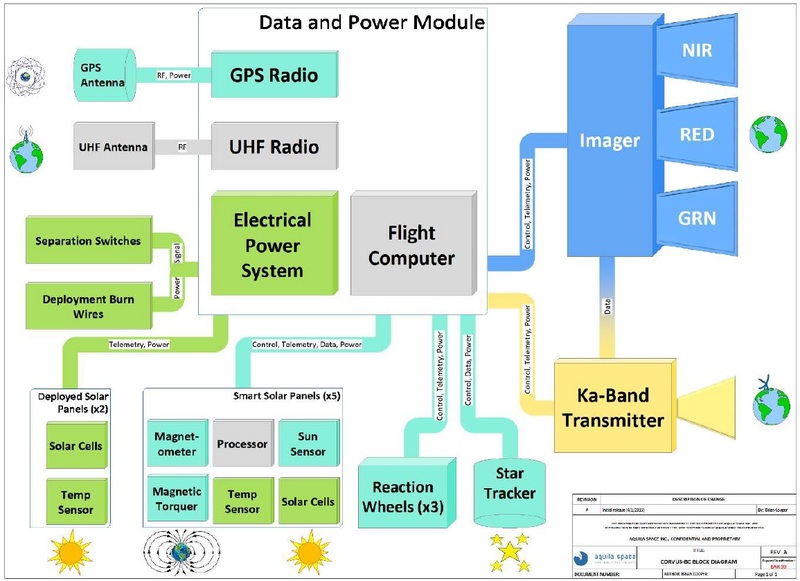 The principal units of the Corvus-BC satellite are the Data & Power Module, also called the Rack, the Attitude Control System module, the Ka-Band radio and the Multi-Spectral Imager. 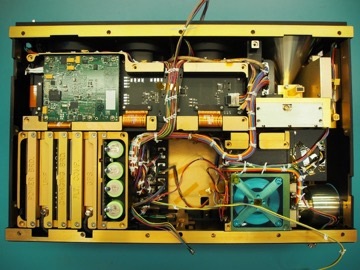 The Data & Power Module hosts six boards that facilitate the satellite’s core functions – an Electrical Power System Board, a Battery Assembly with four Li-Ion batteries and a Charging Board are tasked with accepting power from the solar panels, conditioning the satellite’s power buses of 3.8, 5, 8 and 12 Volts and controlling the state of charge of the four batteries. The TT&C radio is in charge of accepting ground commands and routing them to the onboard computer and conditioning housekeeping telemetry for downlink via UHF. The Flight Computer handles all satellite subsystems, processes & executes ground commands, and operates the payload module and a dedicated GPS board provides timing synchronization and position information for imaging and geo-tagging. The Rack employs a simplified design with a back plane containing the interfaces between the individual slices, allowing boards to slide into place and be secured via two screws. This design also allows for quick assembly and easy troubleshooting while the satellite is still on the ground. 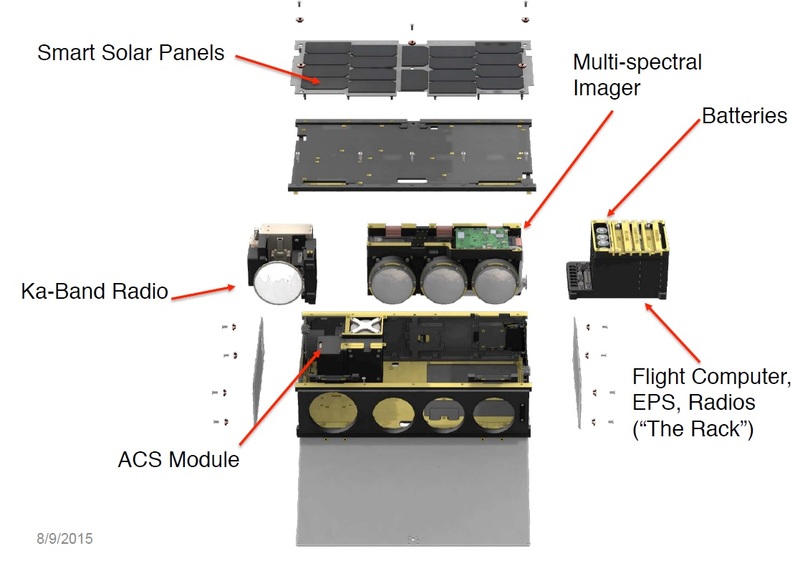 The ACS assembly hosts the ST-16 star tracker and the three reaction wheels as well as the inertial measurement system; Five Smart Solar Panels facilitate the magnetometers, sun sensors and magnetic torquers – all controlled by an ARM M0+ processing unit. A small free volume inside the 6U satellite structure is available for the addition of a propulsion system on future Corvus-BC satellites to be able to actively maintain a craft’s orbit and optimize the constellation, transitioning from a loose constellation of CubeSats to a managed constellation that delivers optimal revisit times. The imaging payload of the Corvus-BC satellites comprises three nearly identical imagers that are only distinguished by their spectral filters to collect imagery in the Landsat bands. Corvus-BC covers a green band (520-600nm), red (630-690nm) and a near infrared band (770-900nm) using imagers with a 21.0 by 14.9-degree field of view to capture imagery across a 220-Kilometer swath with a nominal resolution of 22 meters. The 70-megapixel CMOSIS CHR70M image sensors employ electronic rolling shutters and operate at a frame rate of 0.5 frames per second; Field Programmable Gate Array technology is used for conversion of the analog sensor data to digital images with a 12-bit depth. Corvus-BC has a 1TB data storage and a daily imaging capacity of 1.2 TB, corresponding to a ground coverage area of 150 million square Kilometers (for a Ka-Band link of 170Mbps). 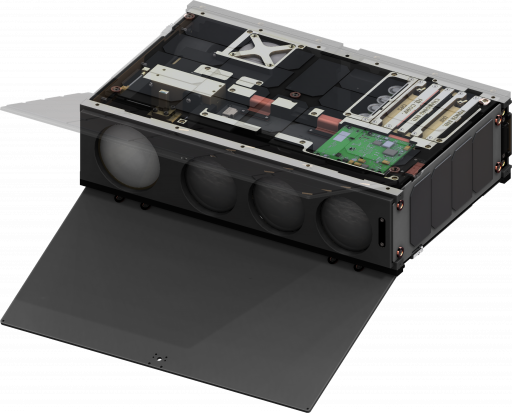 The Landmapper-HD constellation will comprise 20 Corvus-HD satellites that comply with the 16U form factor and weigh around 20 Kilograms, hosting a large telescope and a five-band imaging detector, covering a 25km swath and reaching a ground resolution of 2.5 meters. 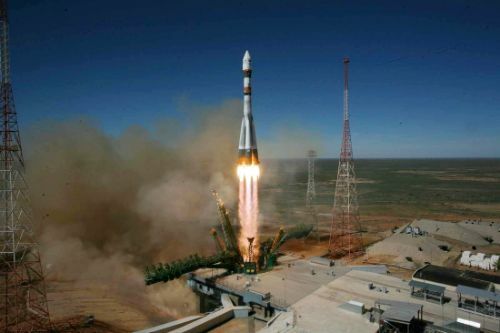 An upgraded Ka-Band system with data speeds up to 1Gbps will enable each satellite to capture 15TB of data per day, equivalent to a coverage area of 25 million km².